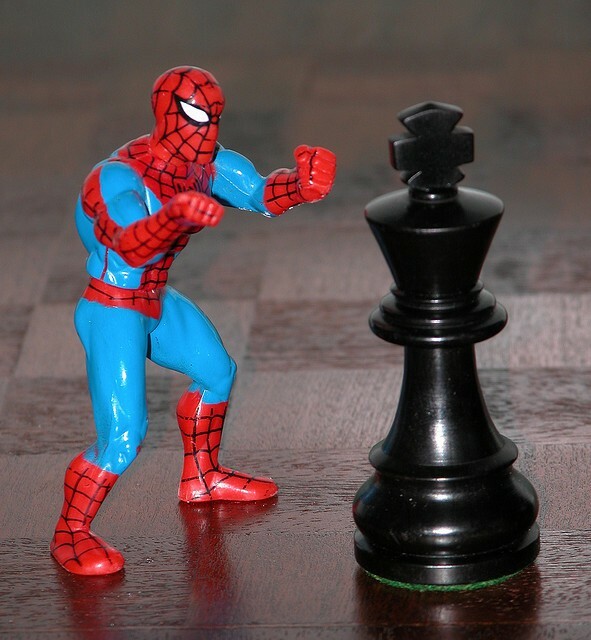 ﻿ The Content Monarchy: Who Says "Content is King" and Why? The Content Monarchy: Who Says “Content is King” and Why? “Content is king” is one of the widest spread Internet memes. Whether you agree or not you will see the phrase referenced all over the place. For several years Google was one of the most ardent supporters of the “content is king” philosophy. Why does Google want you to “create great content” and lots of it? In order to explain why I wanted to track the first mention of “content is king” just to find out that Bill Gates declared in January of 1996. Also Sumner Redstone of Viacom said it before Bill Gates. So Google is not the originator of the phrase. What’s even more interesting is not only who said it first but also in what context and why. It seems the idiom “content is king” is even older than that. On Google Book search you can find two books by historian A. Wyatt Tilby who had used the expression in 1914. The definition of content did not mean text, audio or video at that time but had the other meaning we still know as in “being content” or “satisfied”. This might sound positive today but back then it meant rather restrained or resigned. First, it was the term copywriter. That was generated from the term copy used for among printers and newspapermen for in the printed magazines and newspapers’ industry. “Copywriter” appeared around 1870 when a man who wrote advertisments began to be called copy writer to be distinguished by the news writer. Translated into Modernese, copywriter and copywriting become original writer and original writing/ original content. The term “content marketing” appeared in 2001, when Penton Custom Media (at the moment Penton Marketing Services) started using it for a targeted audience online. Using the content marketing you can display the information in different types of format: news, podcast, blog post, infographics, charts, e-books, white-papers, email newsletters, case studies, how-to-guides, videos, interviews and so on. I wouldn’t be surprised to find out that “content is king” originated during the heydays of the British monarchy. Back when the king forced the people to be content as in “constrained” (restrained and contained) where the noun stems from. So content is basically what is contained somewhere according to etymology. We don’t have to follow the path back to the monarchy to recognize that the history of the phrase “content is king” is a bit older than the Internet itself. Ruport Murdoch of News Corp is also cited as spreading the notion that “content is king”. they all want to convince you that content is king. Why? It’s because they want that content to sell it. Content is king not only because it satisfies the people it also makes fortunes and media moguls happy. Just like the peasants of British North America who were satisfied in dire poverty because “content is king” not only the underpaid content farm workers struggle to make the content kings rich. Sumner Redstone tells us that the other side of the “content is king” debate was “distribution is king”. Today both is true. Bill Gates anticipates most of it. He explains that it will be difficult to earn real money online on content for years to come, at least for content creators. Those who take your content and redistribute it earn the most money. It’s the way with content farms and Google alike. The information gate keepers in the media corporations make most of the money by content, not the single content creators. So next time someone is saying “content is king” or something else “is king” make sure to remember where the content monarchy originally stems from and who wants to maintain it. It’s obvious that creating lots of quality content can get compensated by attention, links and a bit of money as well. You have to remind yourself that you are just the peasant on the content fields who toils mostly for others when you create content. Those who distribute and “tax” it by ads. Sometimes it seems like SEO was only about content creation by now. SEO also works for sites that have only a few pages as well. Ideally SEO does not rely solely on content. The others want you to create content forever. You try to work less on the fields and earn more money. Otherwise SEO would not exist anymore as a separate discipline. Many thanks to social media strategist Andrew Burnett who pointed out the Google Book search I mentioned above on Twitter . *CC Image by Peter Clark. Tad Chef of onreact.com, the #1 SEO 2.0 and serial SEO blogger. I am still learning how to grasp the content from different blogs. It is getting more enticing as i go along. Almost like its pulling me closer.